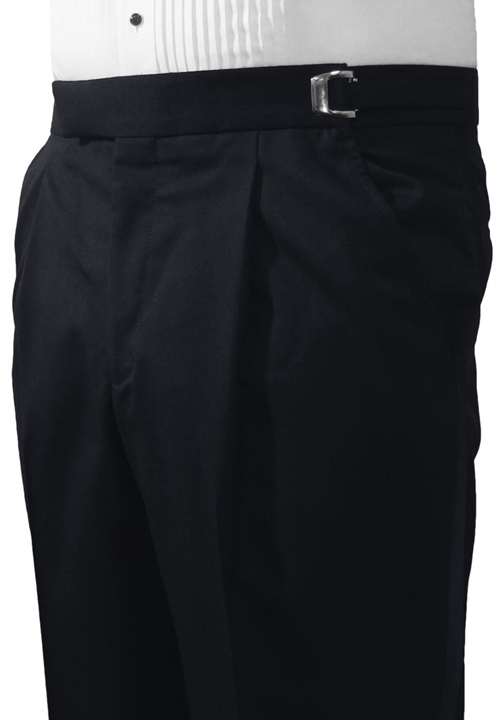 The JEAN YVES Midnight Blue pleated Super 100's trousers are fashioned from Super 100's Wool. They are the perfect complement to the matching coat. With an adjustable waist, single pleated front, and a satin stripe down the side, its all you need to look your best.